With the recent public release of Ghidra I felt like reverse engineering something, and as I have a personal interest in reading VNs (or visual novels), I decided to RE some VN engine. This post contains a rough outline of some of the RE steps I took to end up with pylivemaker, a toolkit for manipulating and patching LiveMaker/LiveNovel game resources. VNs as a medium originated in Japan, with NScripter and Kirikiri and being the most common (to my knowledge) engines for Japanese VNs. In the west, Ren’Py is also a popular option. VN engines generally work by parsing some script format, which will contain a novel’s text as well as commands to display images and play audio at the appropriate times alongside the novel text. An engine’s script format may also include some kind of support for branching paths based on a player’s gameplay choices, as in a choose-your-own-adventure style book (ex. Ren’Py script). In most cases, a VN’s game files will simply consist of the original script files in a plaintext format, any resource images/audio files/etc. These files are packed into some (possibly proprietary) archive format, and then distributed along with an interpreter executable, which can unpack the archive, and parse/execute the script files. 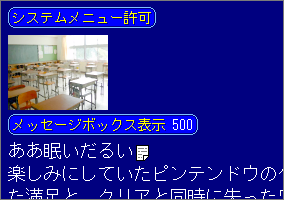 For the purposes of this exercise, my goal was to RE some engine to the point that I could extract a VN’s text script from the game file(s), modify the script, and re-insert it into the original game files via a patch. This type of patching is frequently done for the purpose of releasing unofficial translations of Japanese VNs (which until relatively recently, would rarely get official releases outside of Japan). I also wanted to select something obscure enough that tools for patching my engine did not already exist (for example, KrkrExtract for Kirikiri). As a result, I selected LiveMaker. LiveMaker is a (now defunct) Japanese engine/toolkit for making PC games, and one of the tools included with LiveMaker, LiveNovel, is for making ADV (adventure) style VNs. LiveNovel provides a GUI interface to make VNs without requiring any actual scripting by the user (aside from entering the actual novel text). LiveMaker was available for free, but there was also a paid version that added additional features, most notably the ability for a user to encrypt their resources to prevent artwork/audio/etc. from being extracted from a game. Note: Although the company that developed LiveMaker no longer exists, the most recent free version of LiveMaker can still be downloaded through archive.org, or from here. Running LiveMaker (and LiveNovel) requires setting your Windows non-unicode system locale to Japanese. The LiveMaker applications cannot be run via LocaleEmulator. The applications themselves will run with LocaleEmulator, but building/testing a LiveMaker or LiveNovel project will fail unless the actual system locale is set properly. For reference, the LiveNovel tutorial and documentation which is bundled with LiveMaker is also available here (in Japanese). Some of the example LiveMaker/LiveNovel images in this post are taken from the tutorial docs. The LiveNovel GUI provides a visual flow-chart for managing scenario branching and control-flow, as well as a pseudo-WYSIWYG editor for writing the actual novel text and inserting images/audio/etc. For users that wish to write more traditional VN scripts, LiveNovel also supports what they call an “HTML-like” scripting language. When a user provides a script in the “HTML-like” format, it is converted into the same internal LiveNovel text format (.lns) used by the WYSIWYG editor. Once a LiveNovel project is completed and ready to be distributed, the user can export their game as either a traditional Windows installer, or as a standalone executable. When distributing via an installer, the game files will be packed into an archive (.dat) separate from the interpreter executable. When distributing via a standalone executable, the game archive is appended to the end of the interpreter executable. When building the actual game archive, the internal text format is compiled into a binary file format (.lsb) that can be read by the interpreter executable. Meaning that when the game files are unpacked, the original plaintext script is unavailable. At the time I started this exercise, I could not find any examples of tools for patching LiveMaker games, although one toolkit named irl had been kickstarted but eventually abandoned. GARbro, a popular tool for browsing and extracting the contents of many VN archive formats, does include support for LiveMaker archives and LiveMaker’s proprietary image format (.gal), but it does not support doing anything with .lsb scripts, or repacking an archive. This is also applies to my Ghidra project where a lot of types/variables that I added are not named in PascalCase, and where I use this a lot even though I am not sure if the this pointer is the correct term in Delphi. 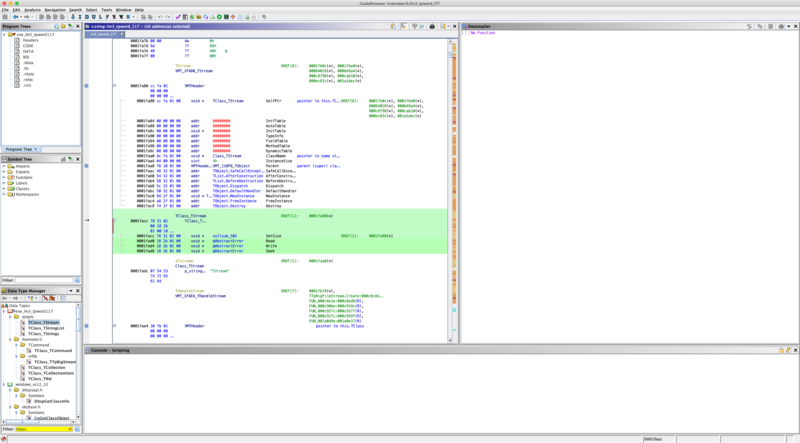 Ghidra identifies LiveMaker applications properly as a borlanddelphi executables with some caveats. 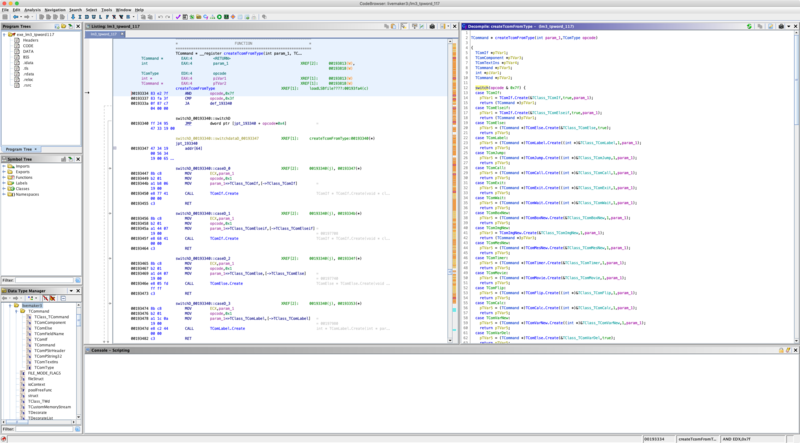 Ghidra does not do anything with the class/type/symbol information the the Delphi .rsrc section. 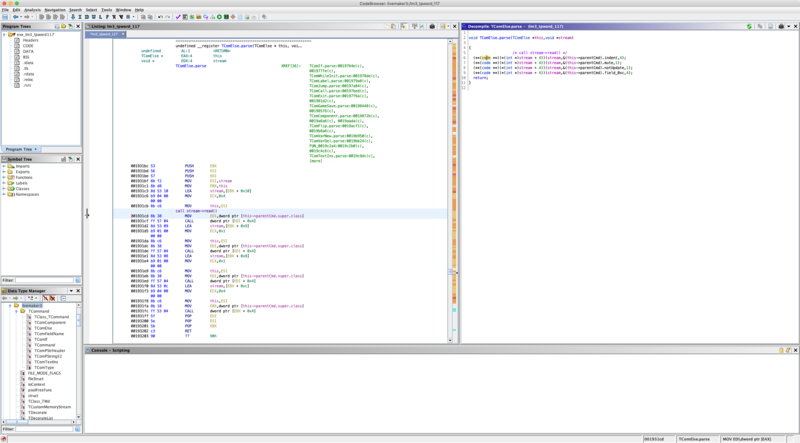 The Ghidra decompiler mostly works correctly on delphi functions, except when Delphi exception handling is involved. 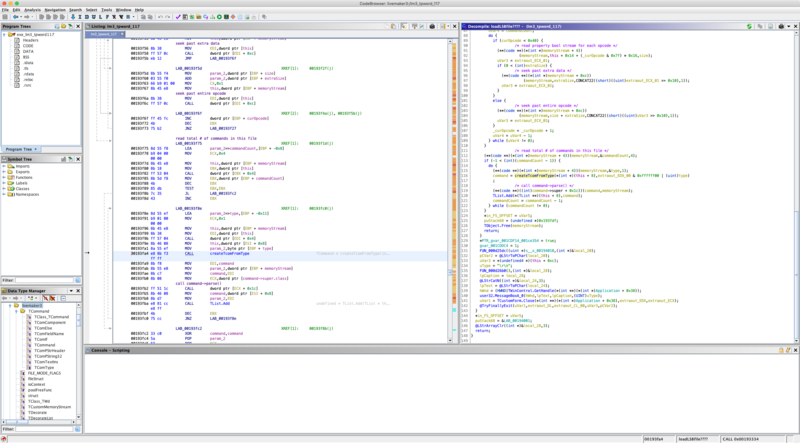 Based on my very limited understanding of Delphi exception handling, Ghidra decompiles an individual try block as it’s own function, so if a variable exists outside the scope of the try block, the Ghidra decompiler does not know what to do with it. Since examples for unpacking LiveMaker .dat archives and standalone .exe files already exist, I did not need to spend too much RE time on extracting archives, although there were a few issues that I needed to sort out for packing archives. LiveMaker archive offsets are actually 32-bit unsigned integers, but LiveMaker stores them across two signed integer fields. I am assuming that this is related to their internal integer types only being signed, but regardless of the reason, the offset_low field contains the least-significant 31-bits of the offset, and the offset_high field contains 0 if the most significant offset bit is 0, or 0xffffffff if the most significant offset bit is 1. In certain LiveMaker versions, the filenames and offsets fields in the archive directory are obfuscated by XORing the data with a fixed keystream. The keystream comes from LiveMaker’s TTpRandom PRNG class (which generates a stream of 32-bit integers), initialized with a fixed seed value. Where this + 8 is the last key value and this + 4 is the original seed value. Note: prior to this exercise, everything in the directory header up to and including the compression flags array (including the XOR obfuscation) was already handled properly by both irl and GARbro, with the exception of the offset_high field, which both projects ignore as an unused field (it is unused in VF archive versions < 101). For repacking a (patched) archive, I needed to RE LiveMaker’s method for generating file checksums, since in both irl and GARbro, the checksum field is ignored entirely. In LiveMaker, save data is stored in the same VF archive format as the game data. By following the function calls used to write to a save file, I eventually was able to identify the function used to checksum a byte stream (in this case, the byte stream containing the save file data). In this case, the function reads some amount of data from a [file] stream into a buffer, and then checksums the data in the buffer. This continues until the entire stream has been read. 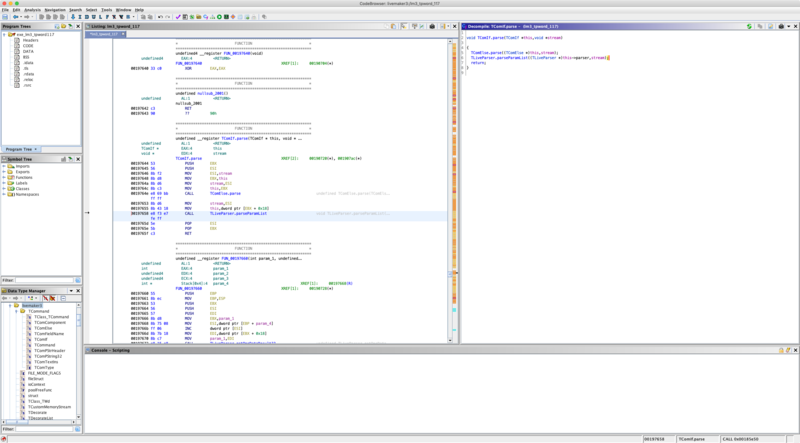 However, for this function, the actual return value is stored in a stack variable (at address EBP - 0xc) which exists outside of the Delphi equivalent of a try/catch block, and the Ghidra decompiler does not recognize it as an actual stack variable. gvar_vfChecksumKeys is a hard-coded array of integers, and is consistent across LiveMaker versions. checksum is EBP + -0xc, and is initialized to 0xffffffff at the start of the function (not pictured in screenshot). checksum is also XOR’d with 0xffffffff before the final value is returned (also not pictured). Upon extracting a LiveNovel VN, the first thing you will notice is that the archive contains mostly .lsb files. The files named numerically contain the binary versions of the novel’s user-generated “chart” scripts. The files named in Japanese are LiveMaker/LiveNovel system scripts (ex. ゲームメイン.lsb translates to gamemain.lsb) (although they are not fixed per specific LiveMaker versions, since they may be modified depending on user LiveMaker project settings). If you examine a LiveNovel project directory before it is exported (by following the tutorial for example), you will see that each output .lsb file has an equivalent .lsc file. Depending on the LiveMaker version, the .lsc file may be in an XML format or a text format, but the end result is that they contain a series of script commands which are then compiled into the binary .lsb format. 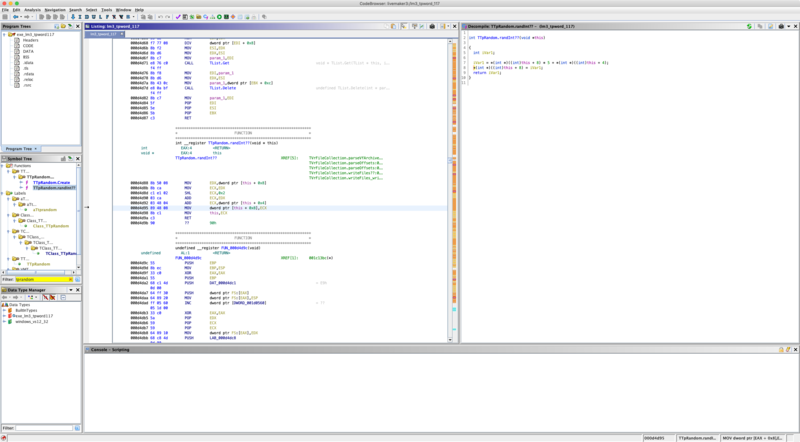 In this example, we can see that this is a “Call” command, which calls (executes) the specified script file. Each possible command type has an equivalent internal class type, which are all subclasses of TCommand. By following the function calls made when opening and parsing an .lsb file, we can reverse engineer the .lsb format, and see how the XML (or text) .lsc version of a command is compiled into the binary .lsb version. Note: prior to this exercise, irl already included basic functionality for parsing an older version of LSB files and dumping information about command types, but it was not documented at all from an RE standpoint, and did not run correctly on the sample LSB I used for RE’ing the engine. In the above function, we can see the fields in the LSB file header being read, and then a loop which reads one command at a time from the file, based on a 1-byte long command_type field. createTcomFromType() contains a switch statement, to construct and return an instance of the appropriate TCom… class for this type value. After constructing an instance of the appropriate command class, the parser for the given command is then called. 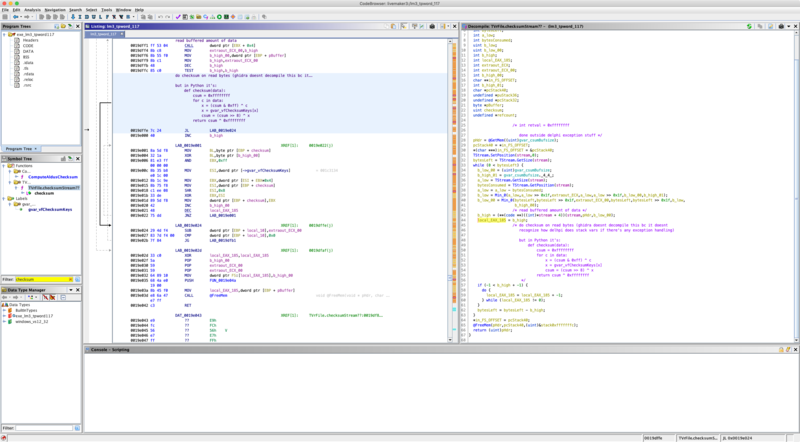 In the example above, the second parameter (stream) is a pointer to a Delphi TStream subclass instance. *(this) + 4 refers to a function pointer in the vtable for TStream (or a subclass’s vtable), and in this case, the function pointer at offset 4 is TStream->Read(). Note: TStream-Read() itself is declared as abstract, but the actual TFileStream/TCustomMemoryStream/etc. subclass instance passed into a parser will have a defined Read() method. Meaning that a TComIf command structure starts with the same fields as TComElse, and then contains an additional parameter list field. Note: TLiveParser is an internal LiveMaker class for storing and evaluating expressions (i.e. “a + b”) which can refer to game variables, but the implementation details are not particularly relevant to this post. Identifying what each field does by examining function calls for each command type would be the obvious next thing to do, but since there are ~60 command types I am leaving out the details from this post. If you are really curious, you can refer to the pylivemaker docs for specifics on each possible LiveMaker command type and their relevant fields. For parsing the actual novel script contents, TComTextIns commands represent a scenario text block from a LiveNovel chart. Each TComTextIns command contains a TpWord block which is a binary compiled version of the internal LiveNovel .lns scenario script format. A TpWord block contains an array of TpWd subclasses which represent either individual text characters, or specific (HTML-like) tags from LiveNovel’s internal script format. In order to RE the compiled scenario script format, you would simply follow the same steps as taken to RE the binary .lsb format, replacing the individual TCom… parsing functions with the individual TpWd… parsing functions (the end result of which is documented here).